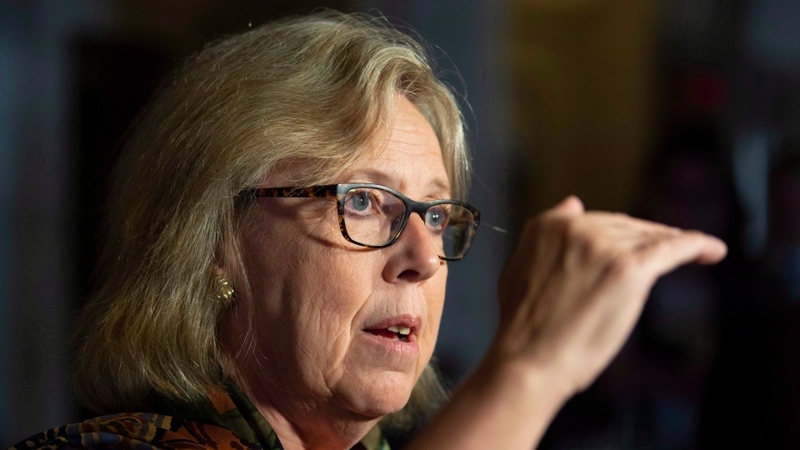 Canadians most frequently score Green Party Leader Elizabeth May as the most ethical among her federal counterparts, according to a Nanos Research survey based on data that came out of the field Tuesday. The results of the study, which was commissioned by CTV News, showed 23.2 per cent of survey respondents picked May as the most ethical federal party leader. Andrew Scheer came second, with 21.4 per cent of survey respondents selecting the Conservative leader, while Liberal Leader Justin Trudeau came third with 16.9 per cent. NDP Leader Jagmeet Singh had 6.1 per cent and People’s Party of Canada Leader Maxime Bernier had 3.0 per cent of the vote. Nanos said the SNC-Lavalin controversy has already hit the Liberal Party’s popularity. Whether that dip in support lasts will depend on what former attorney general Jody Wilson-Raybould tells the House of Commons Justice Committee on Wednesday, he said. When asked which federal political party is the most ethical, results were similar with 23.1 per cent of respondents choosing the Green Party, 21.4 per cent picking the Conservatives, 13.9 selecting the Liberals, 3 per cent picking Bloc Quebecois and just 2.4 per cent opting for the new People’s Party of Canada. Twelve per cent of respondents were unsure. Despite Scheer and the Conservatives scoring higher than Trudeau and the Liberals in parts of the survey, when respondents were asked directly which of the two leaders would lead a more ethical government, 39 per cent selected Trudeau while 34.3 chose Scheer. Twenty-seven per cent were unsure. Asked to choose which of two main issues would most influence their vote in the next federal election – an issue like the recent SNC-Lavalin controversy or an issue like the economy -- only 17.4 per cent of respondents opted for the former while 72.5 per cent picked the latter. Ten per cent were unsure. Overall, the survey painted a bleak picture of Canadians’ confidence in politicians behaving ethically. Asked to rate their confidence in politicians behaving ethically on a scale of one to ten, with ten representing “very high confidence,” the mean response was 4.84. Nearly 60 per cent of respondents gave a neutral score to their confidence in politicians’ ethics, while 29 per cent gave it a score of one to three out of 10. Eleven per cent rated their confidence between eight to 10. Nanos Research conducted the hybrid telephone and online random survey of 1,000 Canadians, 18 years old and older, between Feb. 23 and 26. The margin of error for a random survey of 1,000 Canadians is plus or minus 3.1 percentage points, 19 times out of 20.